Kesha has released "This Is Me," a new piano ballad taken from the soundtrack to The Greatest Showman. "I hope this song inspires all my animals to embrace everything that you are," the singer said on Twitter. "You all are magical and I love you." 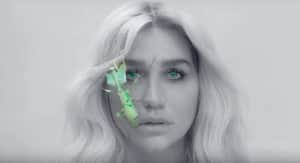 Kesha released her long-awaited new album Rainbow in August. Listen to "This Is Me" below. Thumbnail image via Christopher Polk/Getty Images.